Apply to Cornell, fill out a fine arts scholarship application, and complete an audition. The Cornell College theatre and dance program combines two features that are rarely found in the same institution: a rigorous pre-professional training regimen in a dedicated liberal arts context. Accordingly, if you are a serious theatre student, you'll be prepared in a focused way for the profession or for graduate education, and if you are the traditional liberal arts student, you'll be offered the opportunity to explore your interest in performance. You can develop an independent and interdisciplinary major in specialized areas, such as playwriting, arts administration, or theatre as social change. Theatre and Dance scholarships are available, and students can apply for a $1000 stipend to travel to a workshop or fund a project. Alvon Reed, Artist-in-Residence, teaches courses in dance. You will experience forms and techniques ranging from ballet to jazz, improvised to choreography. Courses combine with regular recital and musical theatre offerings to give you the opportunity to explore culture, society, and self through movement. We enjoy exceptional facilities, with two new and well-equipped theatre spaces. Each member of our faculty and staff is a working professional as well as an academic. We routinely bring gifted guest artists and professional practitioners to campus to work with our students. We enjoy special relationships with a nearby regional theatres (Riverside Theatre, The Old Creamery Theater, Creede Rep) that affords unusual opportunities to our students. We are able to devise highly individualized programs of study and useful internships for qualified students. We have a commitment to the development of new work and to relevant, stimulating programming. While classes are taught within Cornell’s One Course At A Time schedule, production work is undertaken with a more traditional schedule, offering the best of both worlds to theatre students. We approach all of our work with unusual passion and energy. Cornell theatre courses offer scholarly and experiential training in a wide range of theatre arts, including playwriting, acting, directing, stage management, costume design, scenery design, and lighting design. Our courses are taught by experienced and active theatre professionals, both from our own faculty and through our Guest Artist Program. Cornell's One Course At A Time schedule enables a focused and intense workshop experience in our courses. It also allows us to offer special opportunities such as Contemporary Theatre and Dance, a topics course taught largely in New York and Chicago that engages students with a wide variety of theatre ranging from Broadway productions to small experimental shows. We strongly encourage students to pursue internships in performance, production, arts management, and other areas. 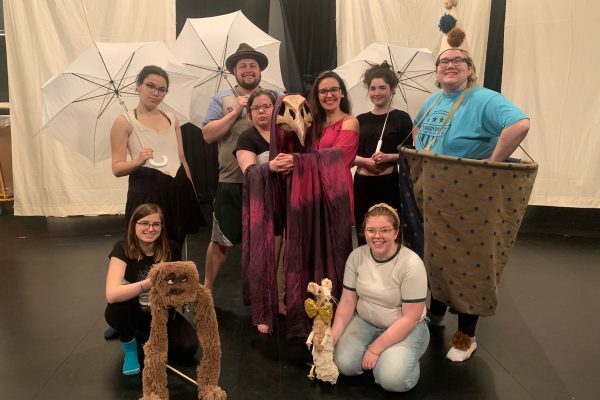 Our students benefit from relationships with Iowa City's Riverside Theatre, Old Creamery Theatre in Amana, Iowa, Colorado's Creede Repertory Theatre, Theatre Cedar Rapids, the ACM Chicago Program, Arts focus, and other programs.